Attention Out-Of-State Bertman Lovers!! 9 oz bottles of all of our products are now available on Amazon. 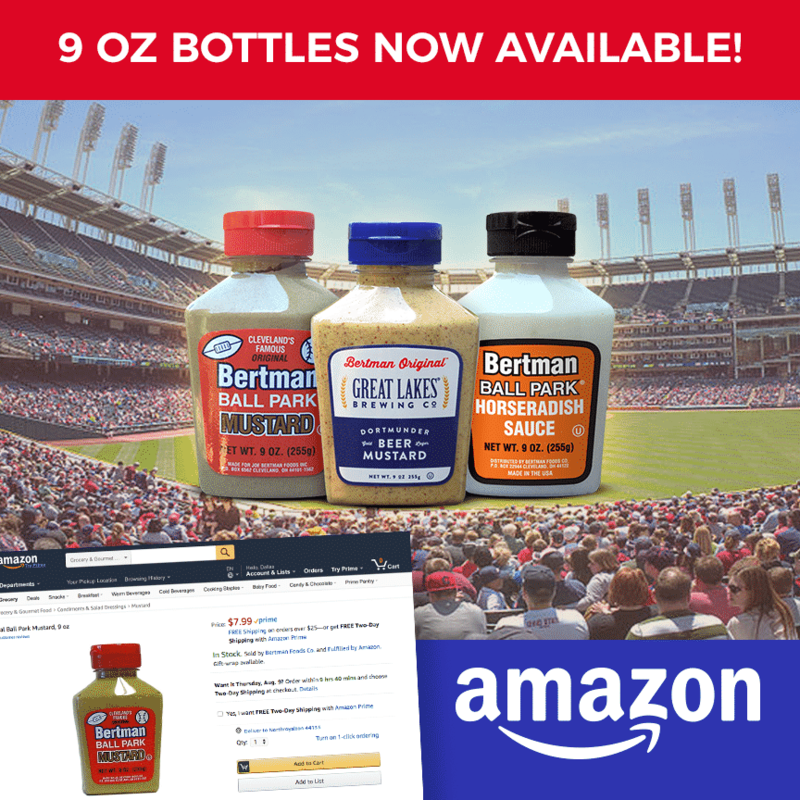 This means that Bertman Original Ball Park Mustard, Bertman Great Lakes Brewing Company Beer Mustard and Bertman Horseradish Sauce can now be shipped across the United States!